I’m back! I took a week long vacation from work and it spilled into the blog too. But boy did I need it, you don’t realize sometimes how exhausted you are until you stop moving. This summer has been busy, busy, busy at work and I had only taken 1 day off of work, so a week long vacation was definitely in order. The husband and I drove to Louisville, Kentucky to visit some friends of ours and we had a GREAT time! 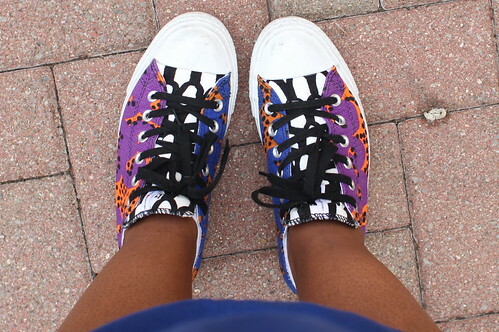 I also put my Marimekko Converse use while in Kentucky. Who knew they’d match everything?! 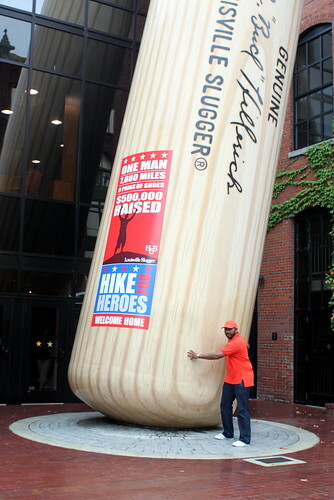 The husband was happy because we went to the Louisville Slugger Museum and Factory (see him with the big bat) and he got to hold some bats that the baseball greats played with. We also went to the Muhammad Ali Center, which is really cool and I’d definitely suggest you go whether your’re a boxing fan or not. We were also introduced to Big Red soda, I’d never heard of it before but it is delicious. We brought how 4 – 12 packs and my husband is already trying to ration them out. It’s described as a red cream soda, not strawberry or cherry…I said red. It cracks me up every time my husband corrects me. Other than the trip to Kentucky, I chilled out for the rest of the week. I did watch all four seasons of Mad Men on Netflix (I guess that makes me a fan) and I finished knitting 2 scarves and I’m halfway through a 3rd, I’m trying to get ready for Christmas gifts and fall weather. So that was my week hiatus, what have you been doing while I’ve been away? Hello Sis! I am so glad you had a great time on your vacation. I’ve never been to Kentucky, so your picyures were my temporary trip lol….You shoes are HOT! The colors were cute. I see me wearing them with a pair of cute skinny jeans & a fitted top lol. Thanks for sharing. BIG RED is awesome!! I had no idea they didn’t have it on the east coast where you live. 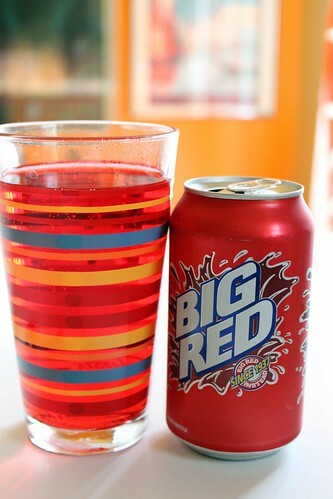 I’m from Houston, TX and Big Red is one of my favorite sodas ever!